White Haute. An Inspired Bedroom. Home → Color Alert → White Haute. An Inspired Bedroom. Life is stressful. We all need a place to settle and exhale. I find that a monochromatic scheme in a room, is often full of one emotion or more ever calming. Inspired by the recent article in Architectural Digest “White Bedrooms Done Right” I created my own. 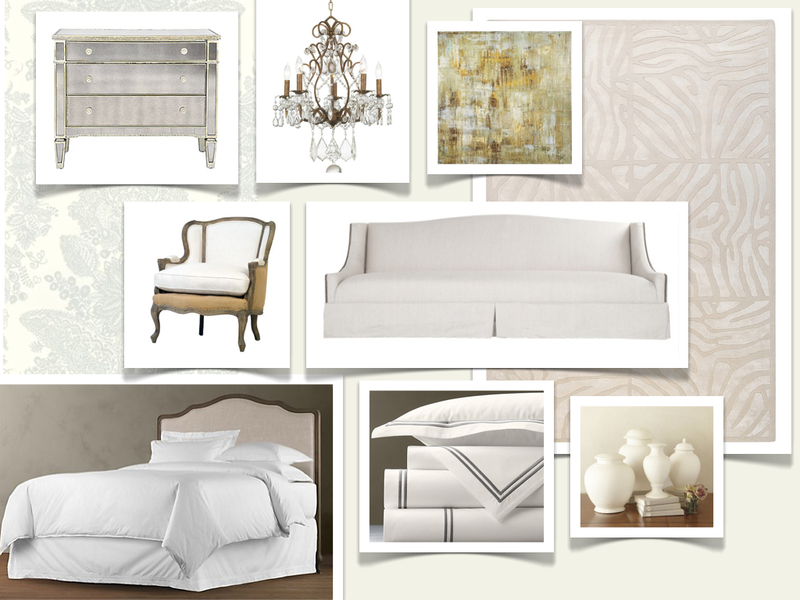 This mood board has a very subtle french country undertone that makes the room feel collected instead of curated. Intricate Beadwork Asian Scroll Pillow $118 William Sonoma Home. -Wishing you all the best!